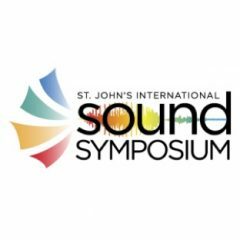 The St John’s International Sound Symposium, in Newfoundland, is an international celebration of sound, but it is also much more than that. It is a catalyst for the generation of new ideas and new directions in music, visual and performance art. Once every two years, in even-numbered years, the Symposium offers both artists and audiences the chance to participate in a community of innovation and creativity. It brings artists, musicians, scientists and others from around the globe to the island Newfoundland, in the North Atlantic ocean, to collaborate with local artists on bold new projects, to appreciate the joy and excitement of the creative process, and to delight in the unique environment and culture. All performances, exhibitions, workshops and events are open to the public, and the workshop and gallery installations are absolutely free! Performances take place not only in concert halls, but on street corners, in basements, in forests, on hillsides, in the harbour, near the ocean, and sometimes in quite unexpected locations. With daytime workshops, evening concerts and outdoor happenings, late night jam sessions, remarkable sound/art installations and daily Harbour Symphonies, every day of Sound Symposium is brimming with sound activities — both planned and impromptu. Throughout the city, the days and nights of each Sound Symposium are filled with extraordinary music, dance, theatre, gallery exhibitions, outdoor events, world premieres, contemporary music, electronic music, jazz, world music, drumming, improvisational music, percussion, rock, string quartets, Newfoundland traditional folk music, home-made and experimental instruments, sound inventions, interaction installations, voice experimentations, film, lectures, workshops, trail walks, special workshops and events for youth and children, whale and seabird tours, and Harbour Symphonies. Throughout the year we also produce Sound Symposium Presents concert series, Night Music improve at the Ship Pub and Harbour Symphonies for visiting ships and special occasions. Its an adventure in sound and vision and we hope to see (and hear) you there!